The Ghost update is thought to have been rolled out around Halloween, in late October to early November. Unless the user was part of a business with many reviews, it went largely unnoticed by individuals leaving reviews or reading about places they were interested in working with. Reviews were not removed from the listing, but more were considered “Not Recommended” by the software within Yelp. The total number of businesses affected is unknown, but it is considered widespread across the site. What Do I Need to Know About Ghost? Advertiser or Elite status was not a factor in how a business was affected by the Ghost update, and many of the reviews that went through filtration were not positive 5-star reviews. Most businesses did not see their overall Yelp rating suffer as a result of the update, but a small fraction saw their rating fall up to a point lower. 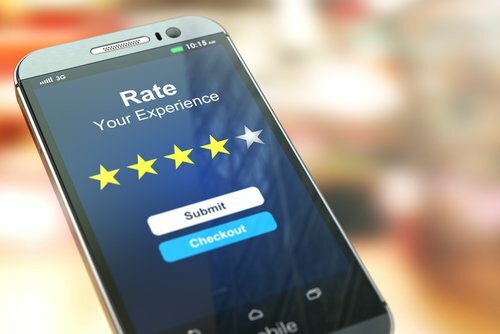 The age of a review affected its odds of being filtered, as many older reviews were moved into “Not Recommended.” If you have a stagnant Yelp listing, having active reviewers write about your services can help with your listing. Yelp puts reviews that will help potential customers at a higher premium than those that will help the business, which is why they are so stringent against fake posts. What Can I Do to Improve My Yelp Listing? If you receive a review, take a few minutes to respond to reviews, even with a simple thank you. If you get a negative review, apologize for any inconvenience their experience may have caused and offer to discuss the matter further on your customer service line. Most reviews written on Yelp are positive, and over time you’ll be able to watch your rating increase. You can also share positive user comments across your social media platforms for engaging content, and invite users to review your business by installing the Yelp widget directly on your site. If your business has a brick-and-mortar location, you’ll be able to provide an offer to patrons who check in on the Yelp app. Make sure you do not directly ask your customers for reviews online because Yelp will be able to track the URL used to reach the page and the software prefers organic reviews. This includes newsletters and automated review software.